Impress your date and reduce your negative impact on the environment with a green-ified date. Dating can be rough. Firstly, it can be hard to find that special someone (which is facilitated, in our modern times, by some form of online dating site or one of those popular US dating sites), and secondly, it can be difficult to come up with a date that is fun for you, your date, AND the environment. The classic “dinner-and-a-movie” date often involves a great deal of wastefulness since most restaurants are major resource and food wasters. But it doesn’t have to be. 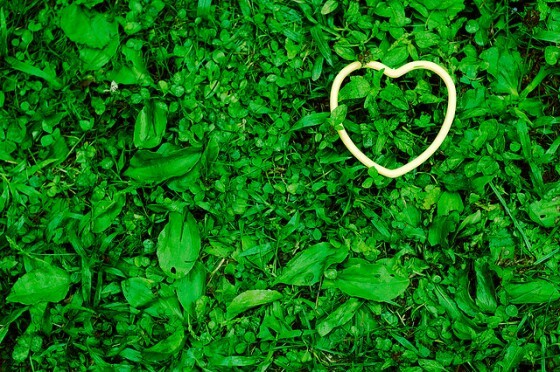 If you want to flex your creative side and show off some environmental muscle, try going on a green date. 1. Cook a homemade, local, and organic meal for your date. A home cooked meal is one of the easiest ways to someone’s heart. Put in the extra effort and make something a little more challenging and different for your date. If you need some inspiration for Middle Eastern recipes, search Green Prophet’s archives. 2. Take your date out for a meal at an eco-friendly restaurant. Not a cook? That’s ok, not everyone can be. But how about enjoying an eco-friendly meal together anyway? Look for a restaurant in your area that uses mostly local (and, if possible, organic) ingredients with a largely vegetarian menu, and it’s an added bonus if the restaurant recycles. Some restaurant suggestions in Israel are: Cafe Louise, Mitzpe Hayamim, Goats with the Wind, and LovEAT. In Saudi Arabia, check out Pizza Fusion’s organic pizza. In Abu Dhabi, go out for some sustainable fish at one of Le Royal Meridien’s restaurants. 3. Go for a romantic bike ride. Take your date out to see the sunset on a bike, enjoying some nice scenery and some exercise along the way. Bring along some refreshments to enjoy at your final destination like some wine or locally brewed beer. 4. Get your hands dirty at a local farm. In our modern culture, many of us have to go out of our way to get physically active. Which is why when we finally do get to run around and use up some energy, it’s a lot of fun. Do something different and get your hands dirty at a local and preferably organic farm. In addition to getting some exercise, you’ll probably get some great fresh food to take home as well. Check out WWOOF for a list of farms near you. Spend a weekend at an eco-tourism destination. Tourism destinations aren’t just for tourists. Go on a mini-vacation nearby that’s a little off the beaten track and try an eco-tourist spot. Read our tips for eco-touring in Yemen, Egypt, Israel, Jordan, Lebanon, Iran, and Syria. If you are interested in joining an online dating site but don’t know where to turn, we recommend you check out some of these dating websites where you can read reviews and check rankings of some of the more popular and trustworthy rooms. If you sign up please come back and tell us about your experience. Need someone who will love me and take care of me.